Surgeons at The Sydney Hernia Clinic are willing to use new techniques that will confer a benefit for patients. Any patient participating in such a procedure can be confident that the technique has been exhaustively investigated by the Holroyd Private Hospital Ethics Committee and approved by the Therapeutic Goods Administration (TGA). The TGA is the government body that approves the trial of new techniques under strict guidelines. Any patient participating in a new technique will receive a detailed description of the technique by the surgeon. 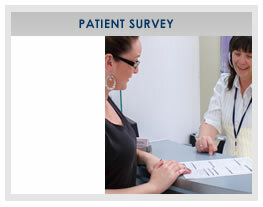 The patient will also receive comprehensive written information about the procedure. No new technique will be used unless the patient is thoroughly informed and gives consent. The first project performed by The Sydney Hernia Clinic is the use of fibrin glue in place of metal staples to attach the mesh (3D Max-Mesh) used for hernia repair. The Ethics Committee is consulted about all aspects of Research and approval from the Therapeutics Drugs Administration (TGA) is obtained where appropriate. The TGA is the regulating body in Australia which oversees the introduction of new drugs and other forms of medical innovation and technology. This project commenced over two years ago and the initial results were reported at a world congress on endo-laparoscopic surgery in Singapore in June 2000. This project was approved by the Holroyd Private Hospital Ethics Committee and had TGA approval. During laparoscopic hernia repair a large sheet of prolene mesh is used to reinforce the muscle and tendon weakness of the groin. The mesh implant is an important measure to prevent recurrence of hernia. Normally the mesh is fixed with metal staples. The use of a biological glue (fibrin glue) had potential advantages. It was possible for metal staples to irritate sensory nerve branches in the abdominal wall. The fibrin glue also acted as a sealant for blood vessels. The initial results were very encouraging. Patients rapidly recovered from the surgical procedure and were able to return to all forms of physical activity within seven days. There were no serious complications detected from the use of fibrin glue. Four patients reported febrile periods lasting a few days during the first week after surgery. This may have been a reaction to proteins in the fibrin glue and all patients fully recovered without complication. There were no infections. Pain scores were performed on all patients the day after surgery and on the first post-operative visit to the Clinic (usually within 7 days). Pain scores were rated on an analogue scale 0-10. The 7 day pain scores were three and below. No hernia recurrence has been detected in these patients. A final report on this project was presented at the 2nd World Hernia Congress 19-21 June 2003 London, England. The outcome of the treatment of 87 hernias repaired laparoscopically using polypropylene mesh and fibrin glue was reported. All patients had been recalled for review thus reporting patients with a minimum of three years of follow-up. All of the procedures are subject to strict audit with a comprehensive study protocol. All data is captured at the hospital and entered into a computer. The database was set up to meet the needs of this research. There are six custom designed forms that are completed by the surgeons and the hospital staff.